Product categories of Crimped Wire Mesh, we are specialized manufacturers from China, Crimped Wire Mesh, Woven Wire Mesh suppliers/factory, wholesale high-quality products of Crimped Wire Screen R & D and manufacturing, we have the perfect after-sales service and technical support. Look forward to your cooperation! Packaging: Standard export packing or according to your requirement. Material: Stainless Steel Wire, Manganese steel , High carbon steel 65Mn, Low carbon Steel Wire, Galvanized Iron Wire, Non-ferrous Metal Wire. Weave pattern: It has various weaving method, such as the double crimped, flat top crimped, intermediate crimped and lock crimped. Hole shape: square hole, rectangle hole. 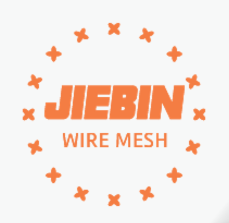 Usage: The pre-crimped weaving method can assure the accurate open area and make the structure stability and smooth.The crimped Woven Wire Mesh has various applications. The heavy duty crimped woven wire cloth can be used as vibrating screen in the mining, coal, crusher and other industries. The light crimped woven Wire Mesh with thinner wire diameter and small opening size can be used as Grilled Wiremesh, pig feeding, protective fences for the equipment and stairs.